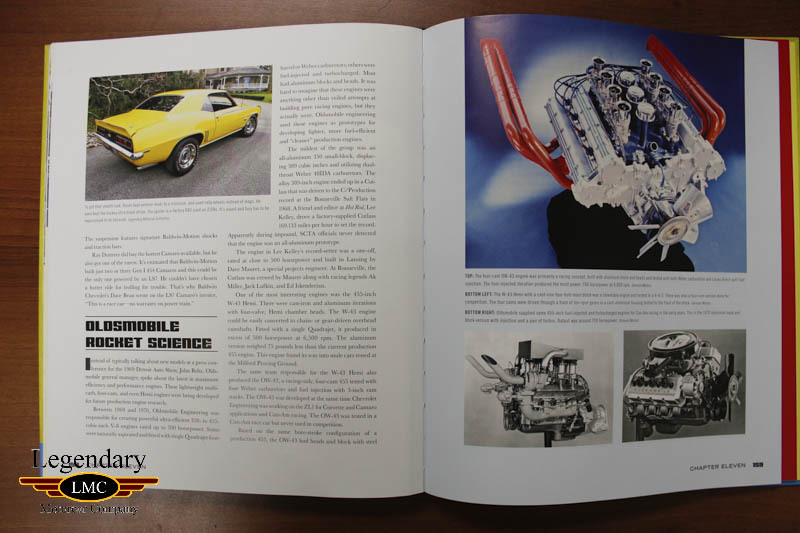 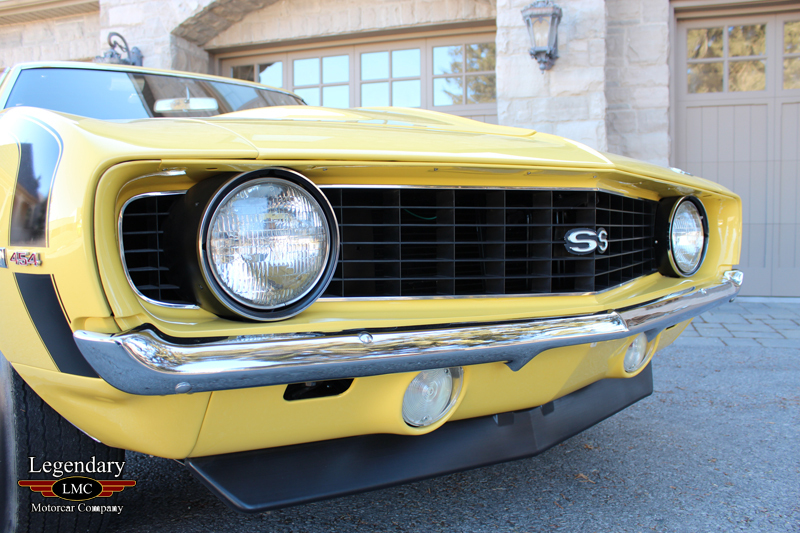 Click any thumbnail below to display the 1969 Chevrolet Camaro SS Baldwin Motion slide show. 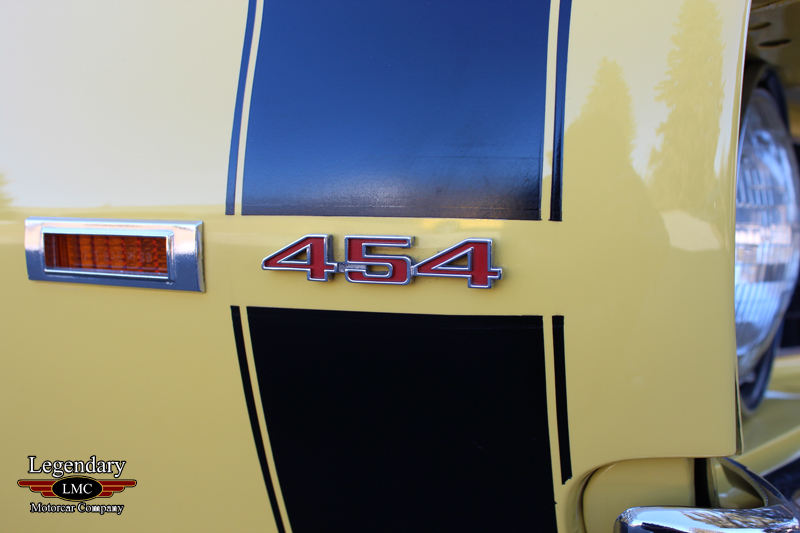 Look no further than the subtle "454" badging and that famous ducted hood and what lurks in the engine compartment is pure aggression. 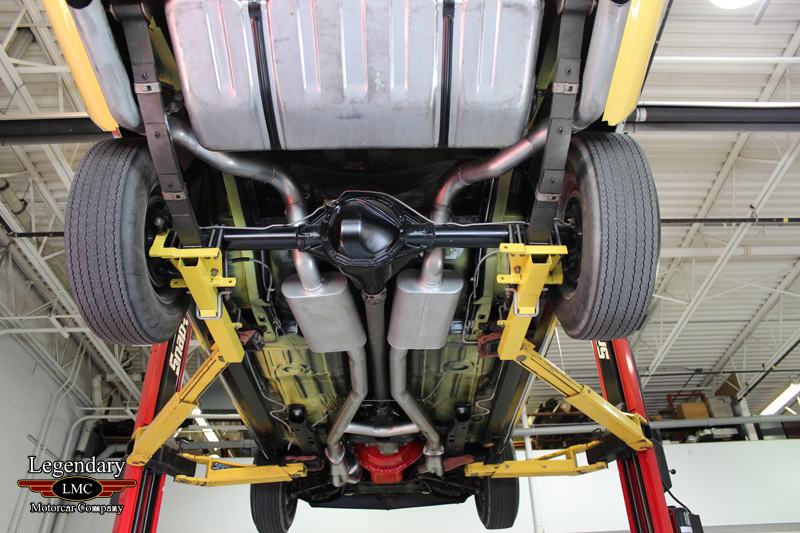 Thanks to Motion performance you could gladly view and hear something GM did not want its customers partaking in. 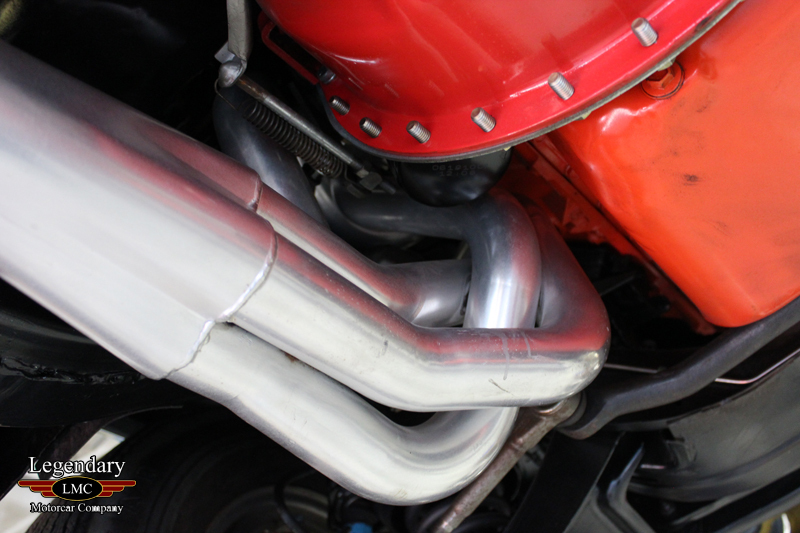 Owing to those oh so lovely tubular headers the noise the LS-7 454 distributes will have you constantly blipping the throttle just to get a further taste of the auditory thrashing again and again. 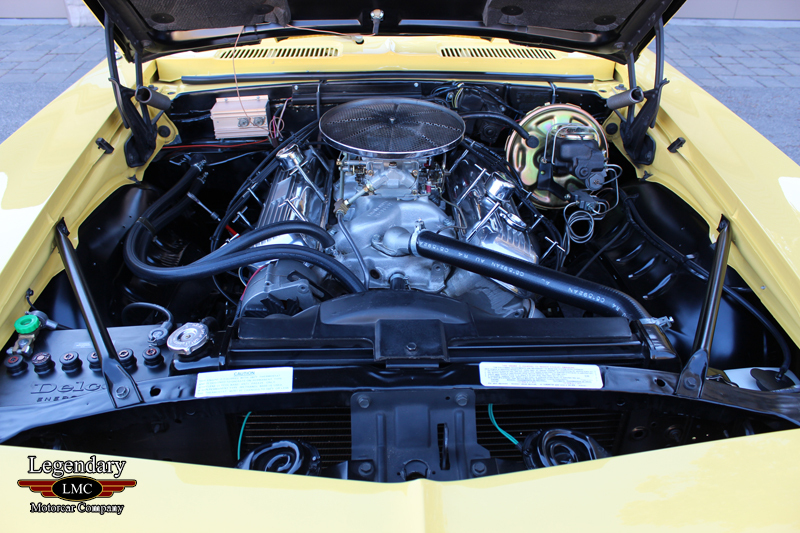 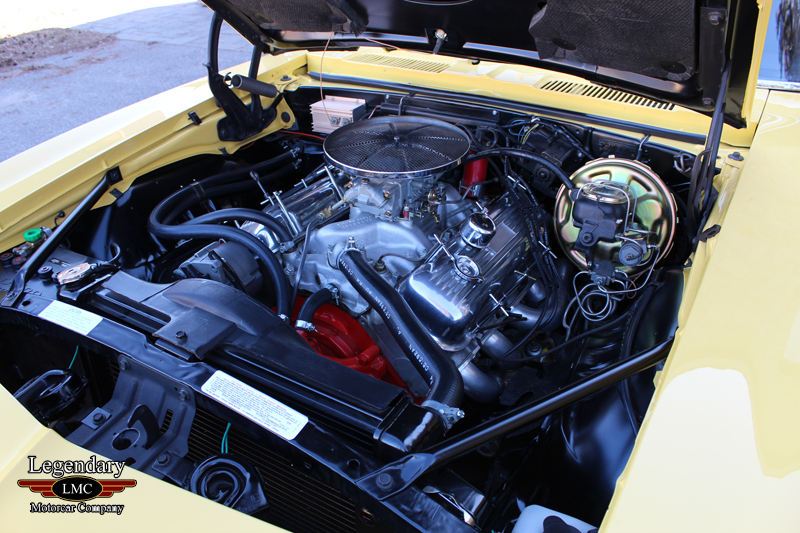 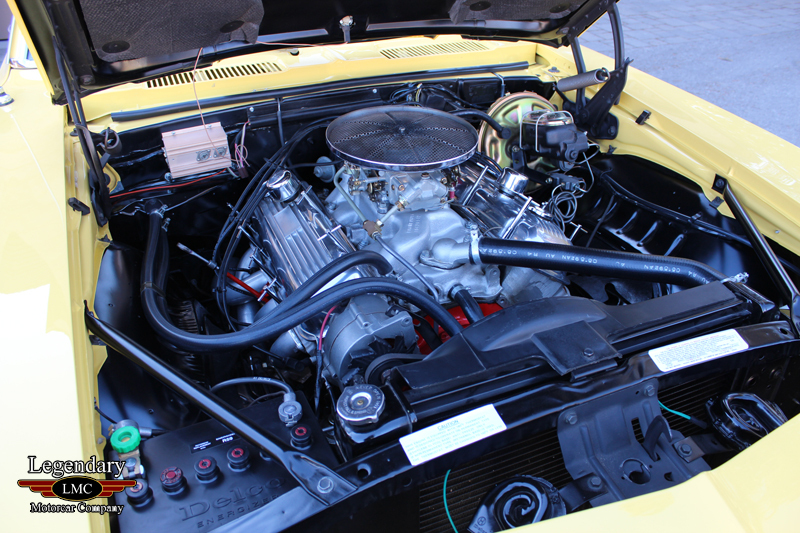 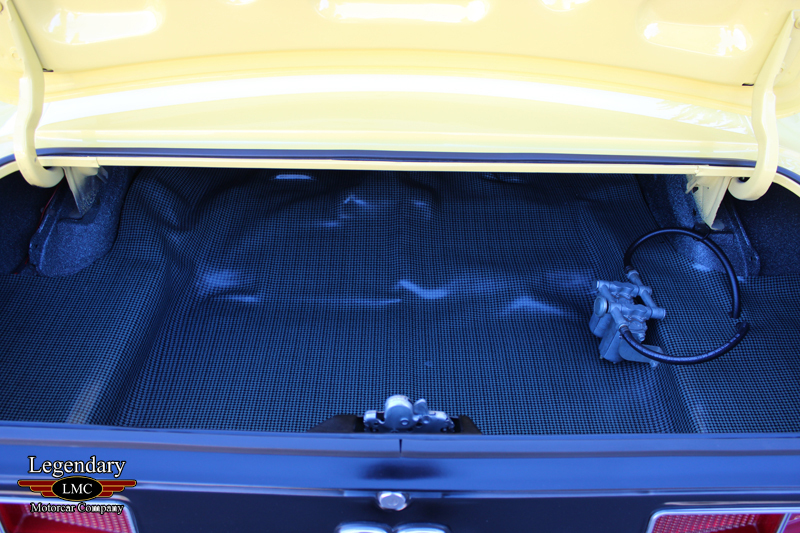 The engine bay presents so well thanks to the exacting restoration this 'Motion Camaro has been treated to. 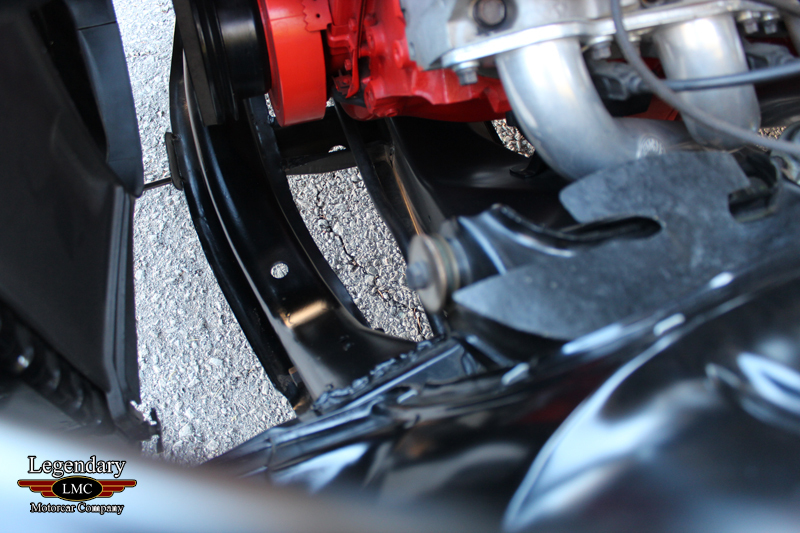 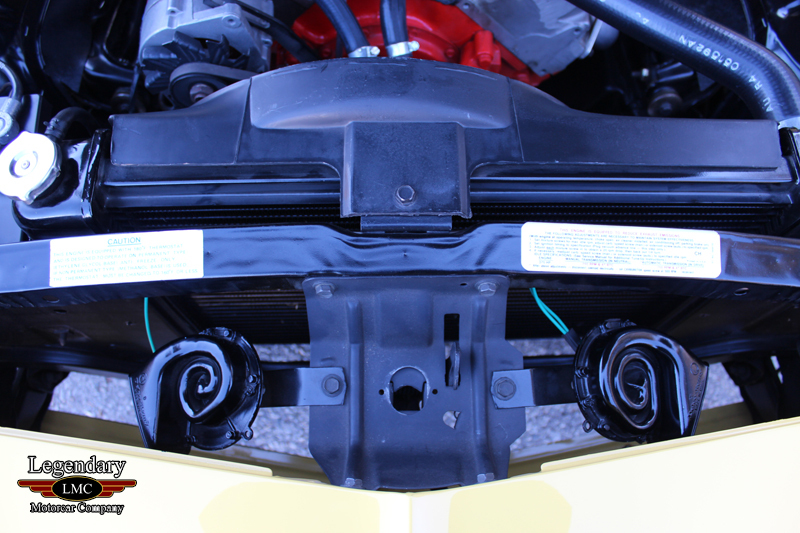 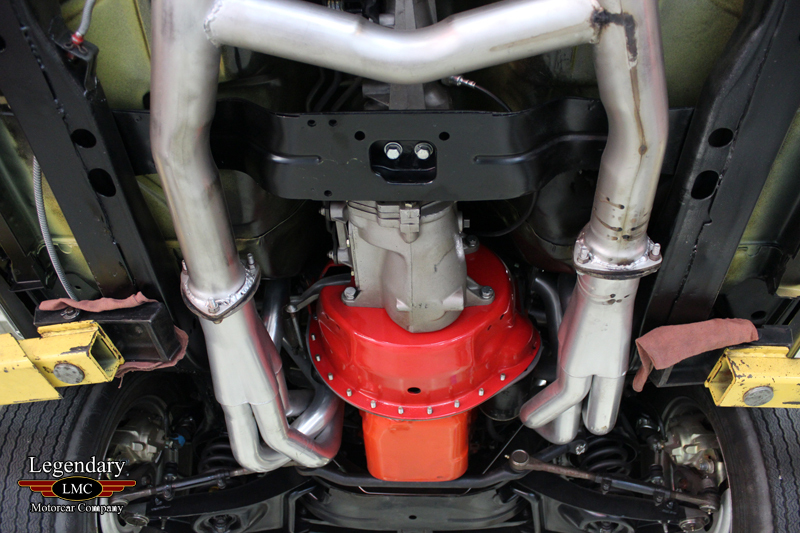 Look down and the inner fenders look better than when they were brand new, the bright finned valve covers sparkle and that luminous trademark orange block states its intentions. 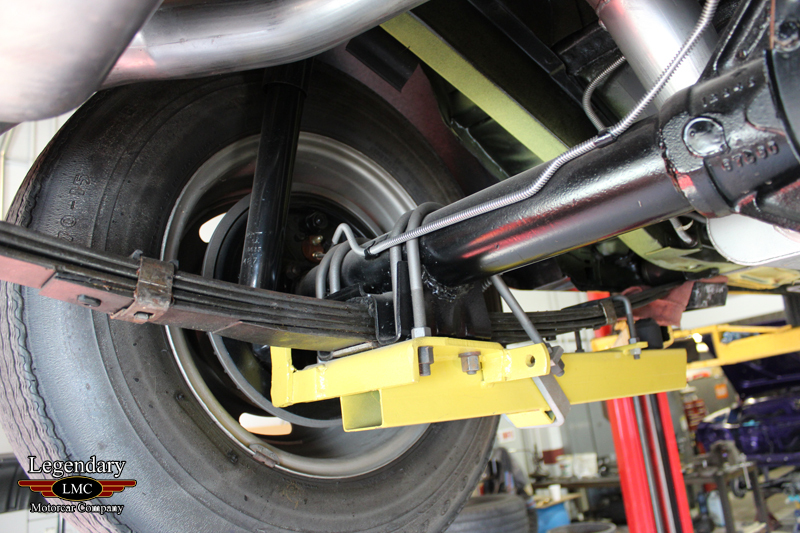 Gaze lower into the front suspension to see every nut and bolt used looks better than the day it left the factory. 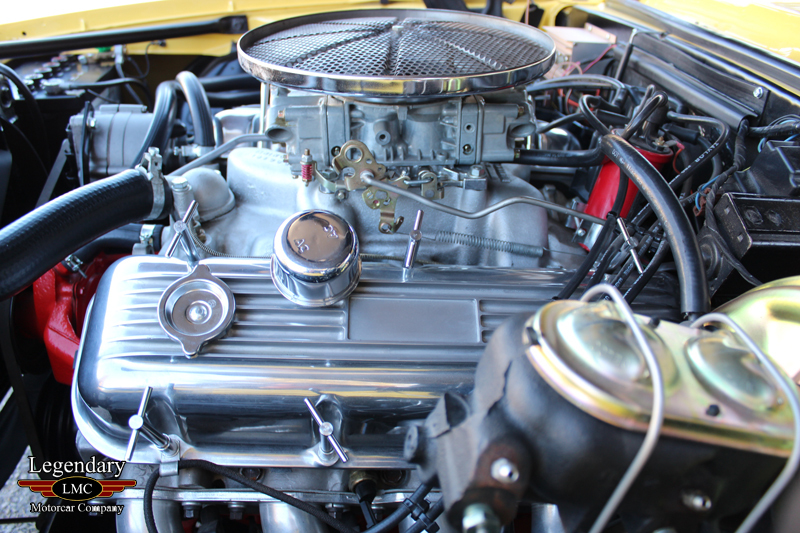 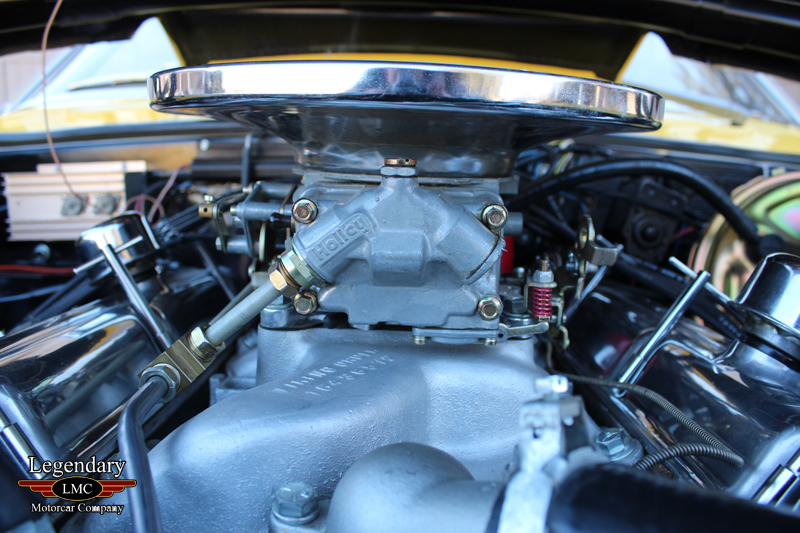 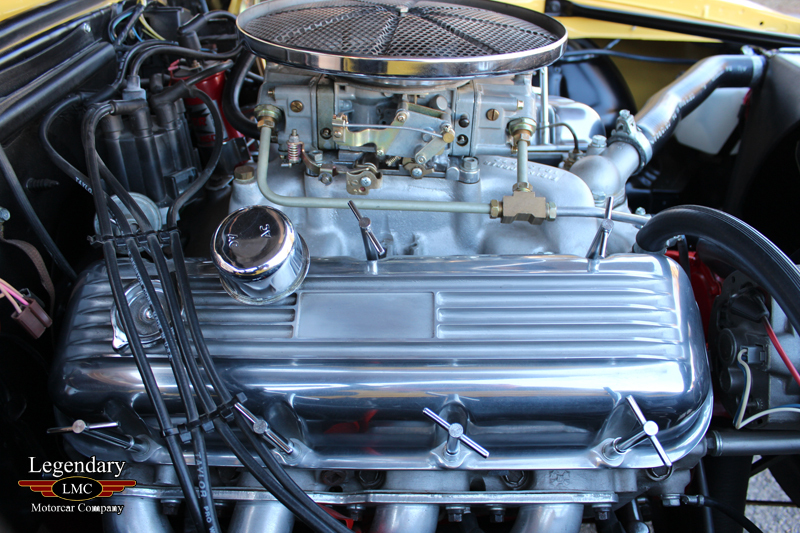 Correct hoses, belts and lines with all the markings and codes, all topped by the imposing Holley 850 with its gorgeous mechanical linkage remind you that this engine is special. 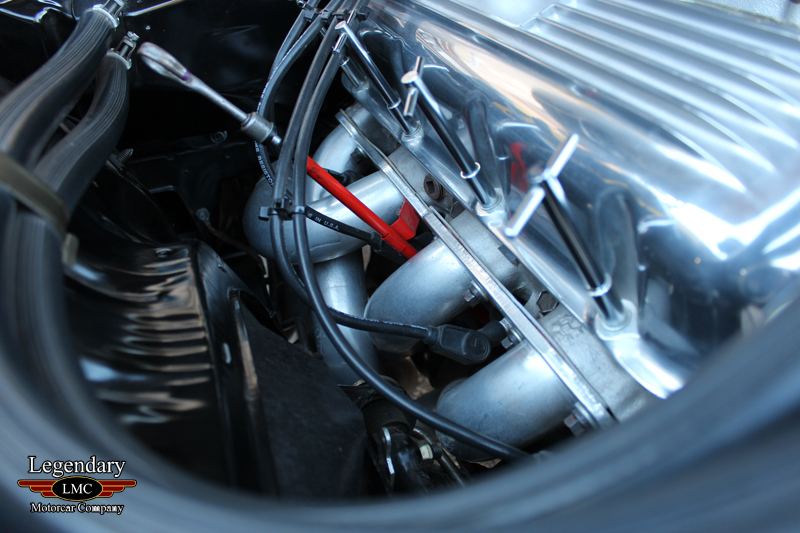 It's a race motor, legal for the road. 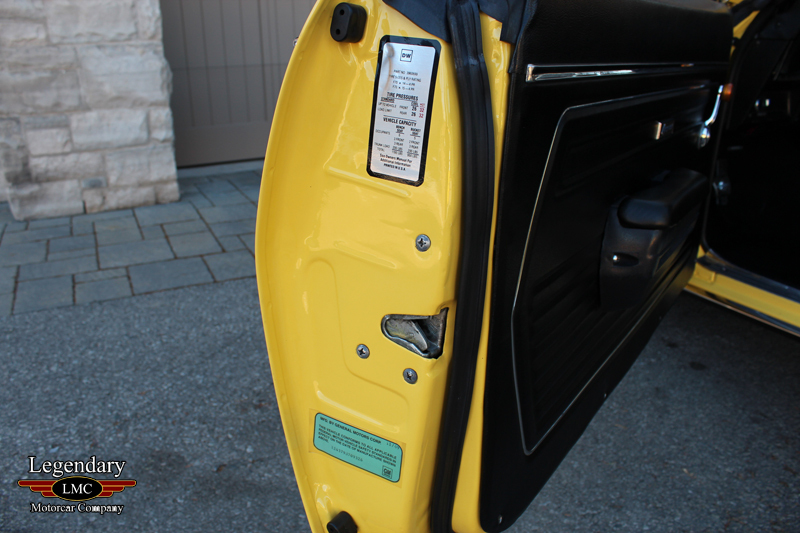 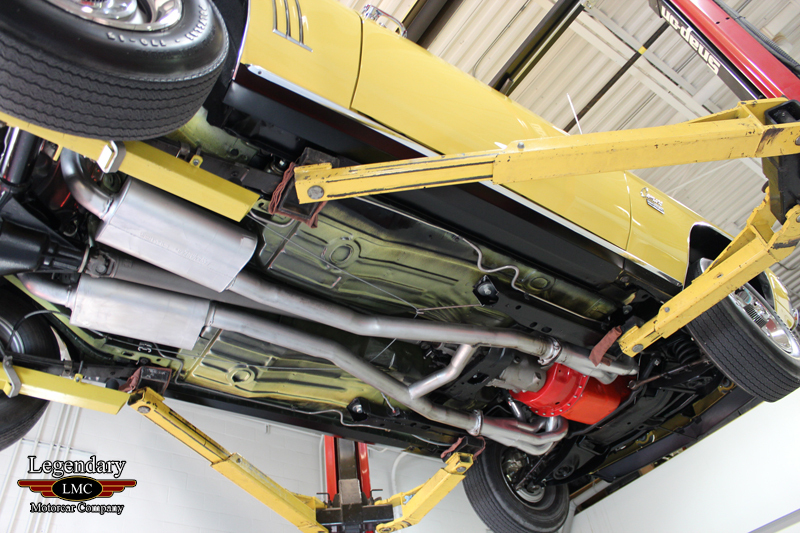 That same painstaking restoration put equal effort into the Chassis and body. 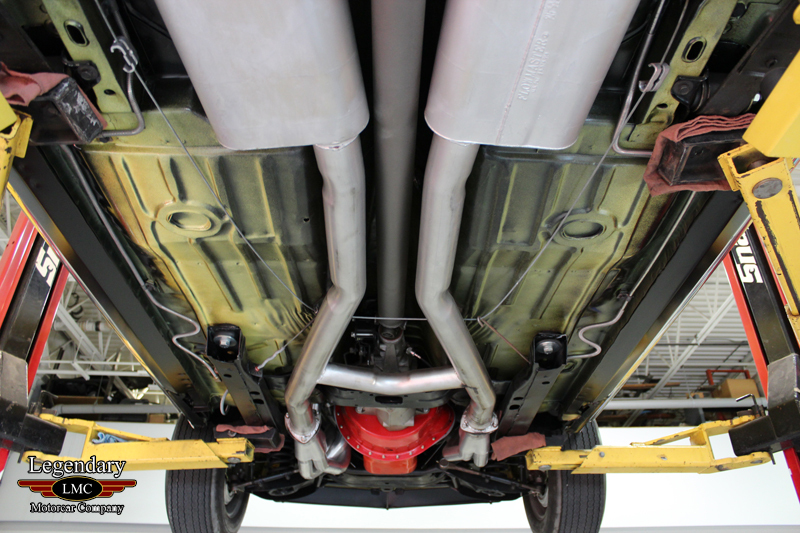 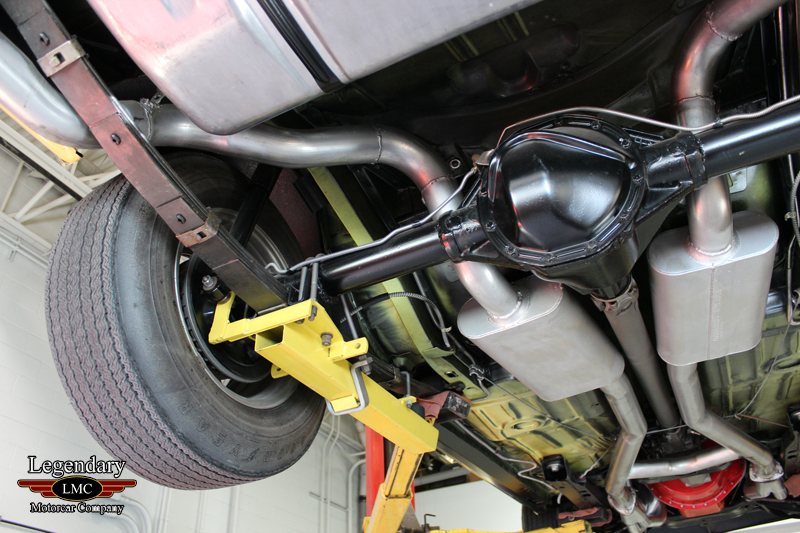 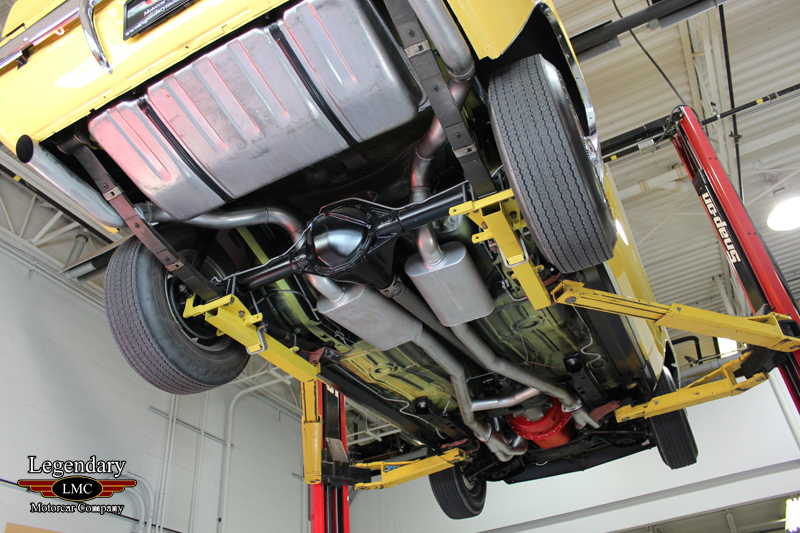 The undercarriage of this Camaro is quite simply a time warp to when it was brand new. 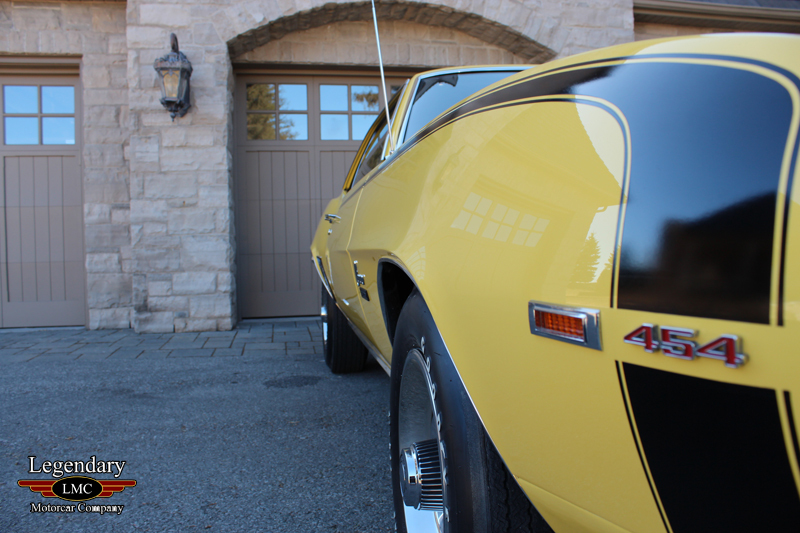 Even just looking at it from the top side you would cringe at driving this down the road on all but the most perfect pavement. 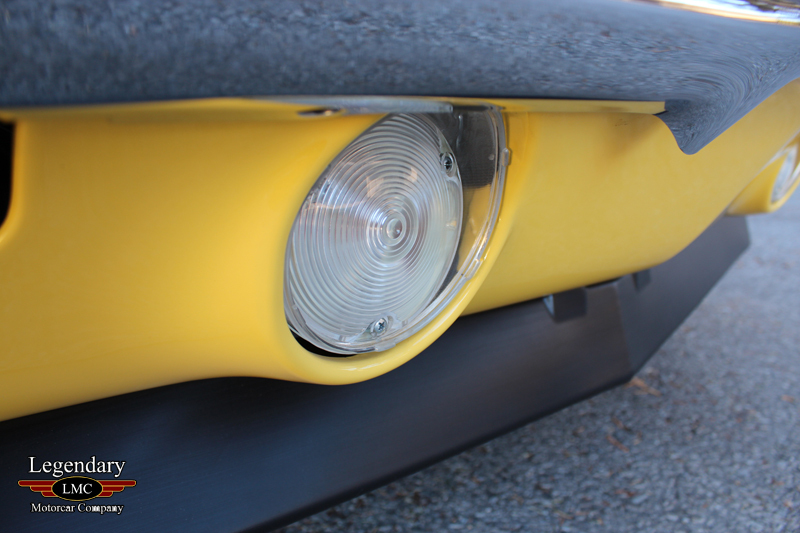 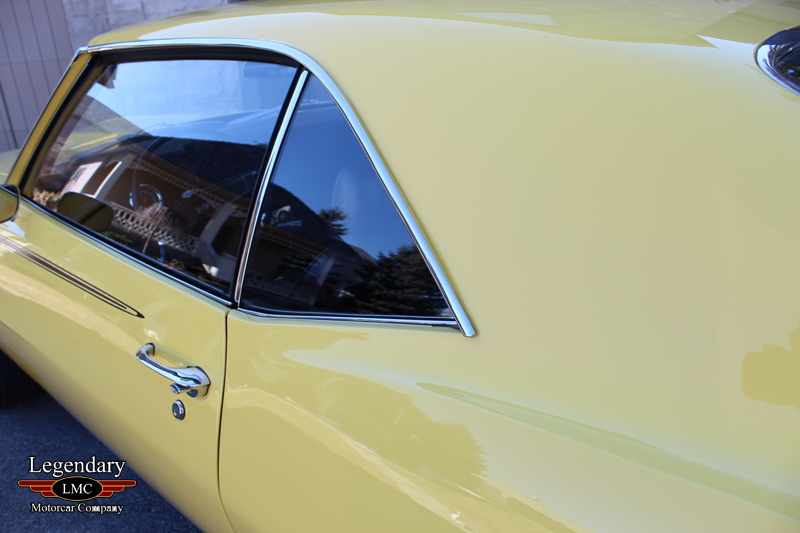 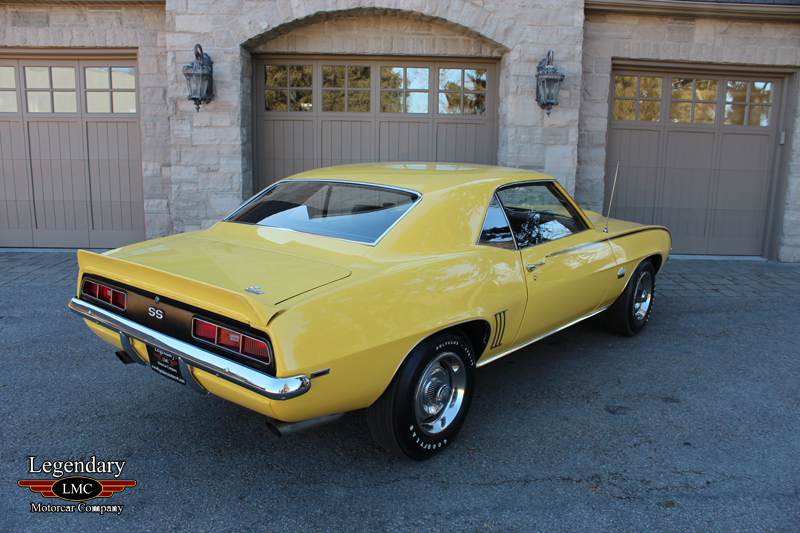 That beautiful code 76 Daytona Yellow is the perfect color for such a wild street terror machine. 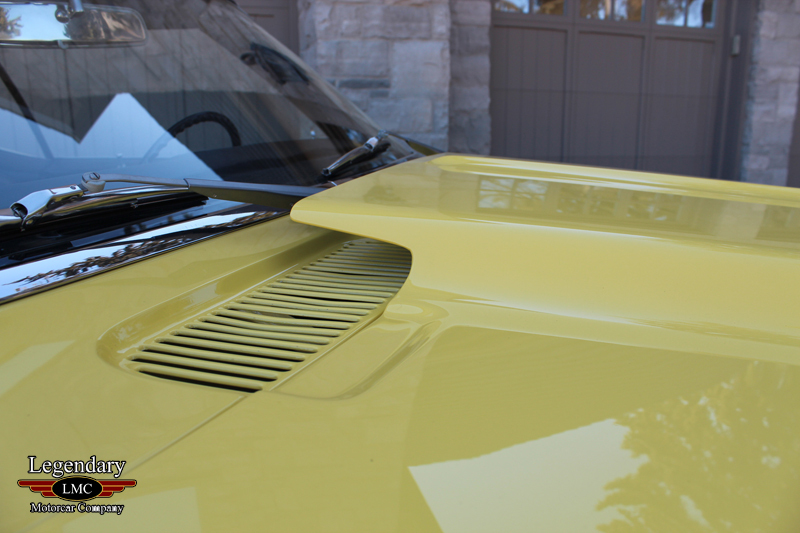 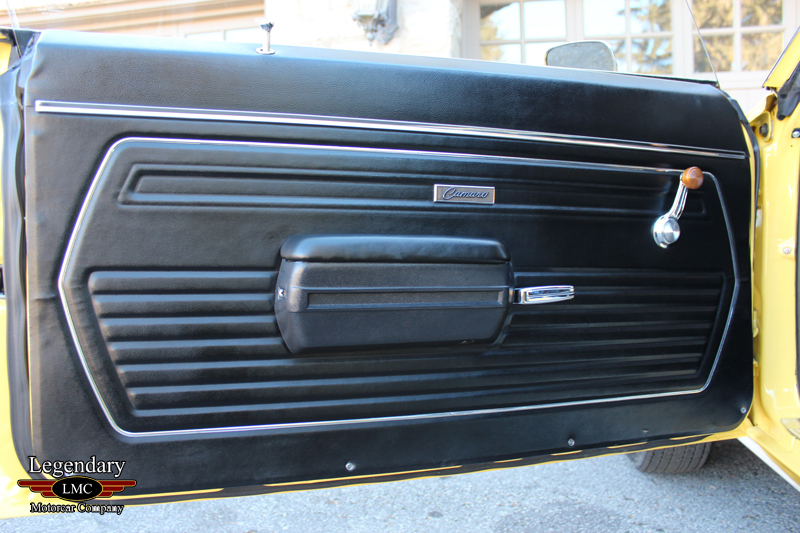 The depth and shine of this paintwork would be welcomed and fawned over at any show. 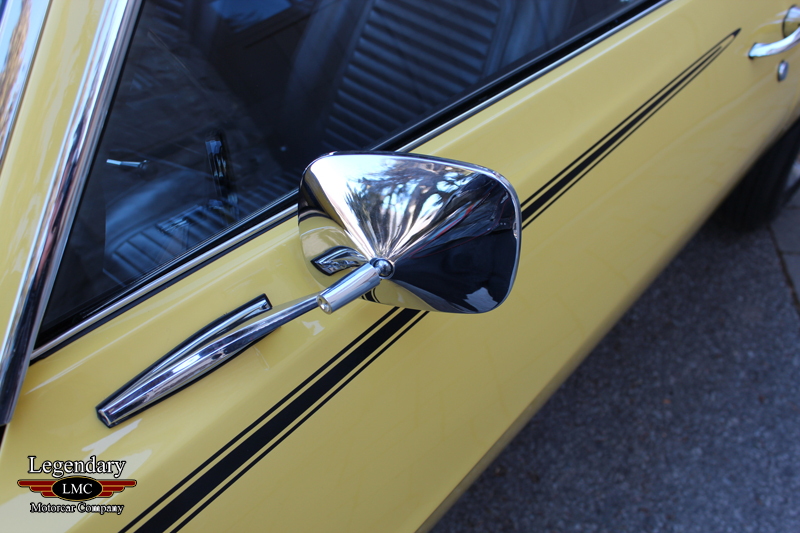 The bright work, including door handles, mirrors and window surrounds all have a wonderful deep reflection. 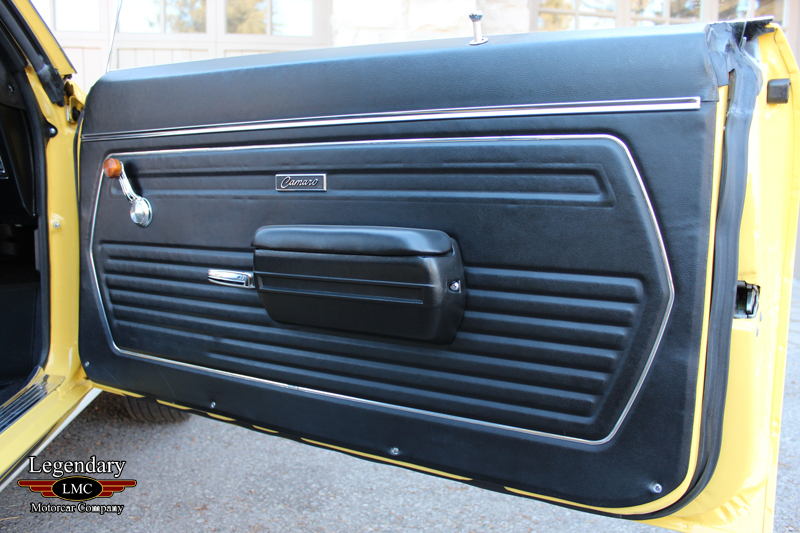 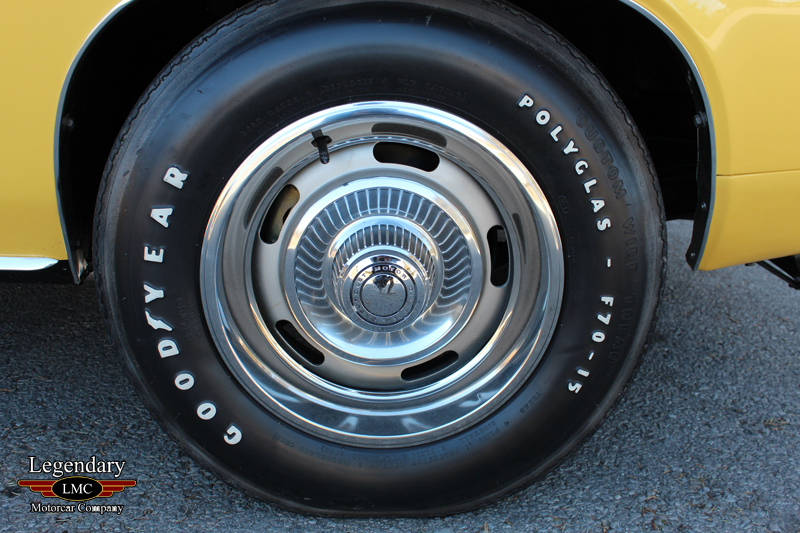 The black race stripe and correct Goodyear Polyglas tires complete a faithfully original look and rounds out an exterior effort that anybody could recognize as "expensive". 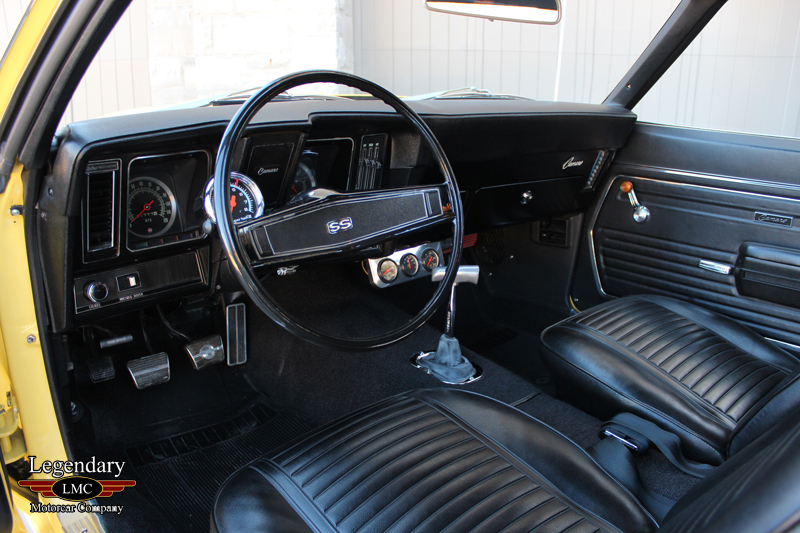 Moving inside, the all black Vinyl interior suits the aggressive feel of the car very well and shows fabulously. 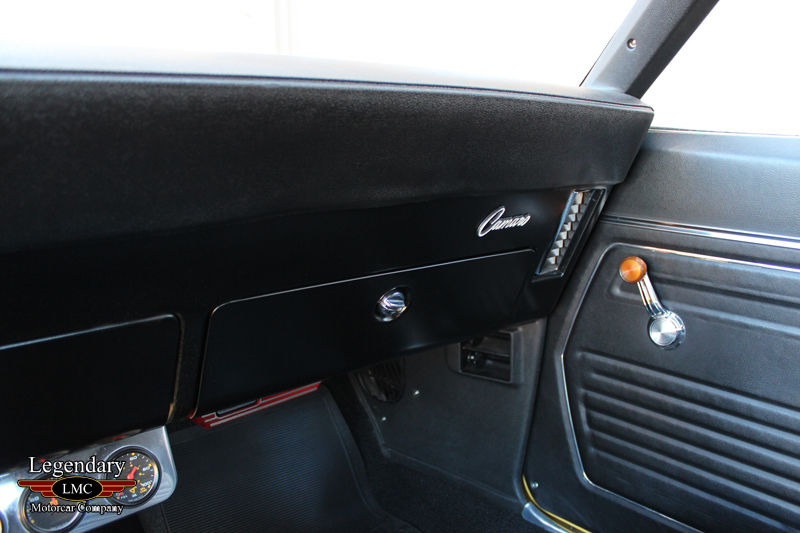 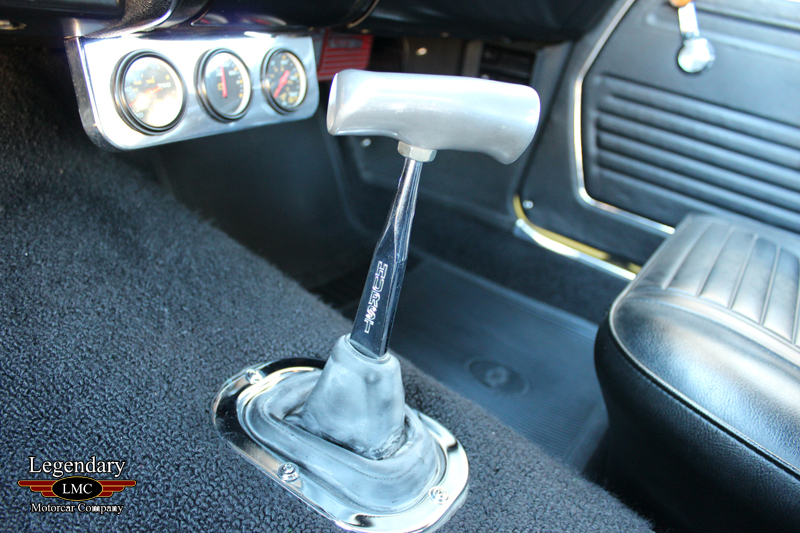 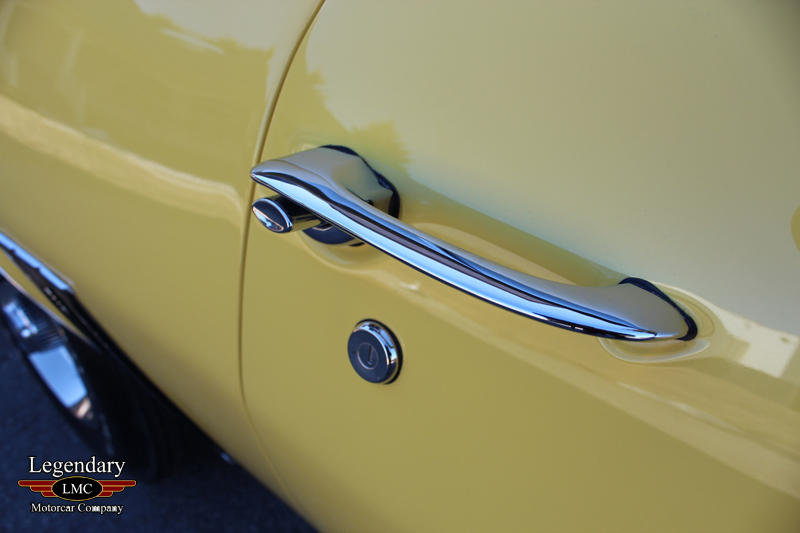 Sit down, grab that famous Hurst T bar shifter and with its short throw get ready to feel what Baldwin Motion means with its "performance money back guarantee". 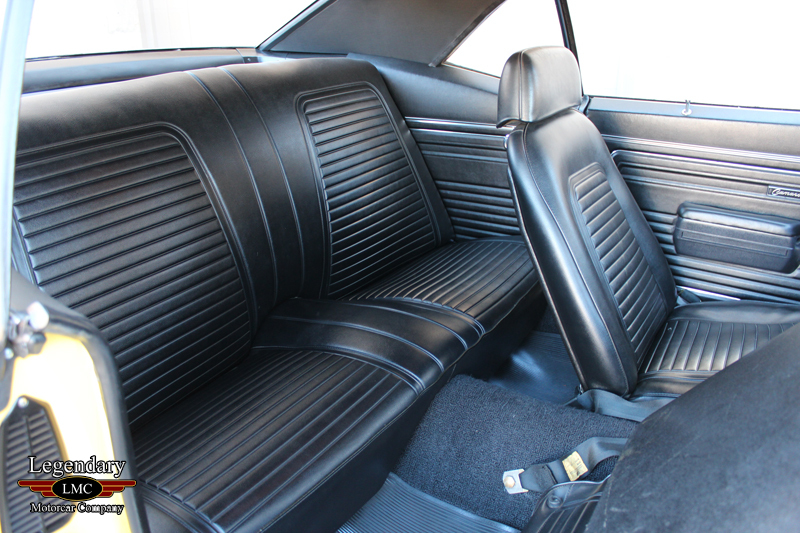 The mostly standard Camaro Super Sports interior (not overly equipped, in order to keep weight to a minimum) has just a few welcome, from Motion Performance, additions. 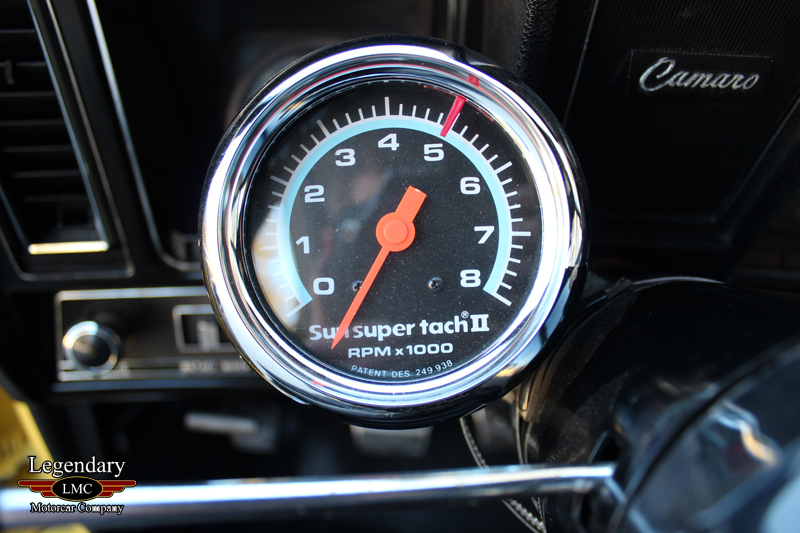 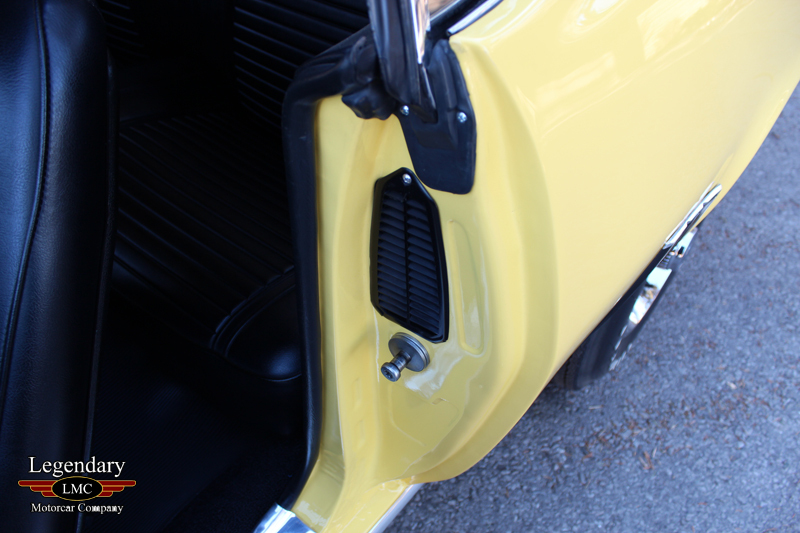 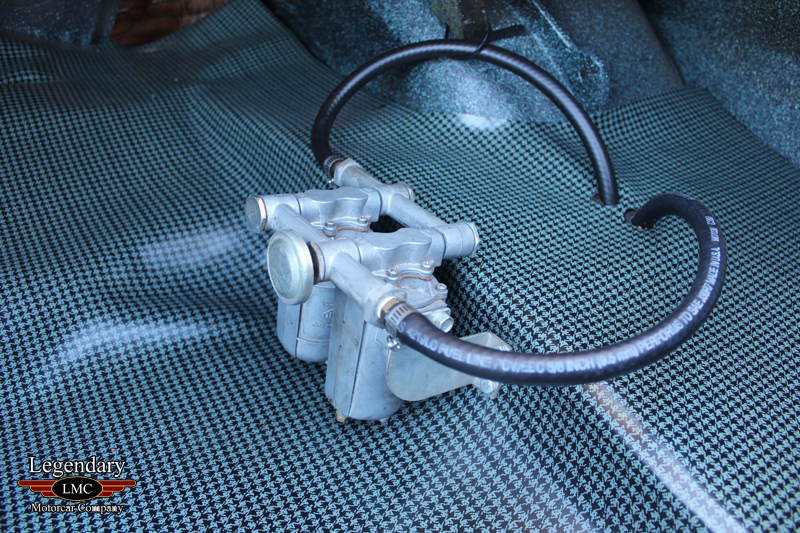 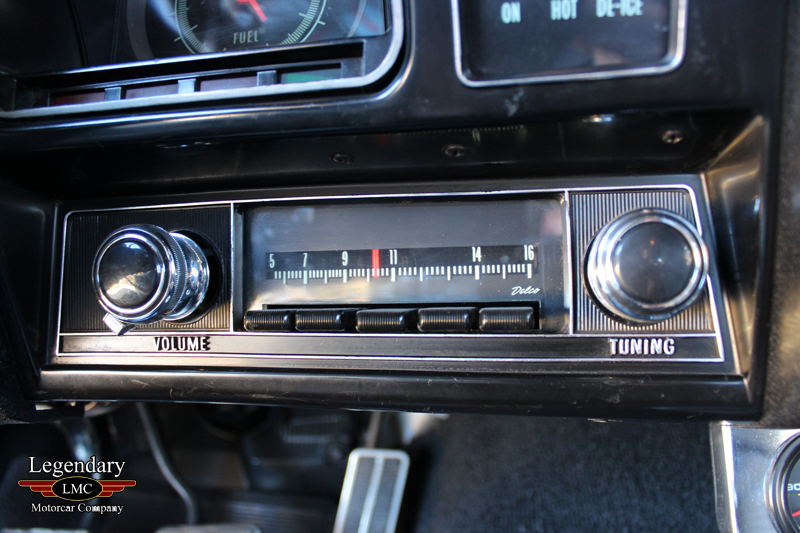 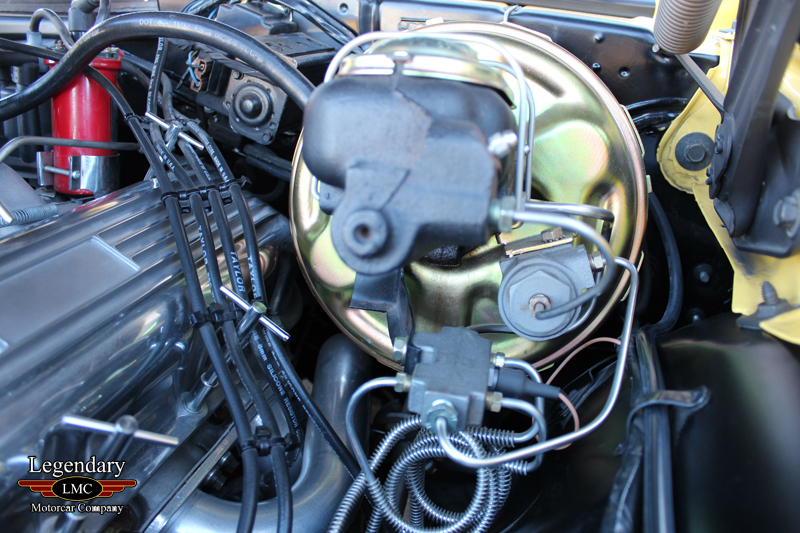 The Sun Super Tach II as well as mid dash mounted voltmeter, oil pressure and oil temperature gauges were part of the original Baldwin Motion specification. 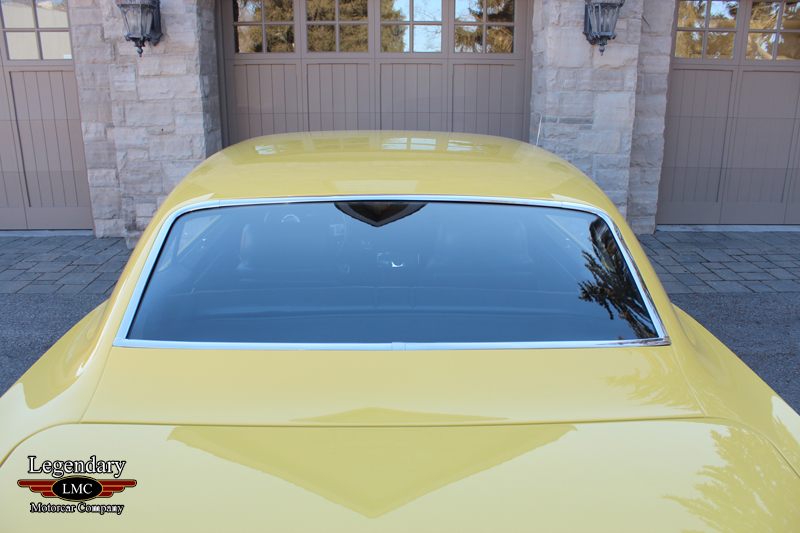 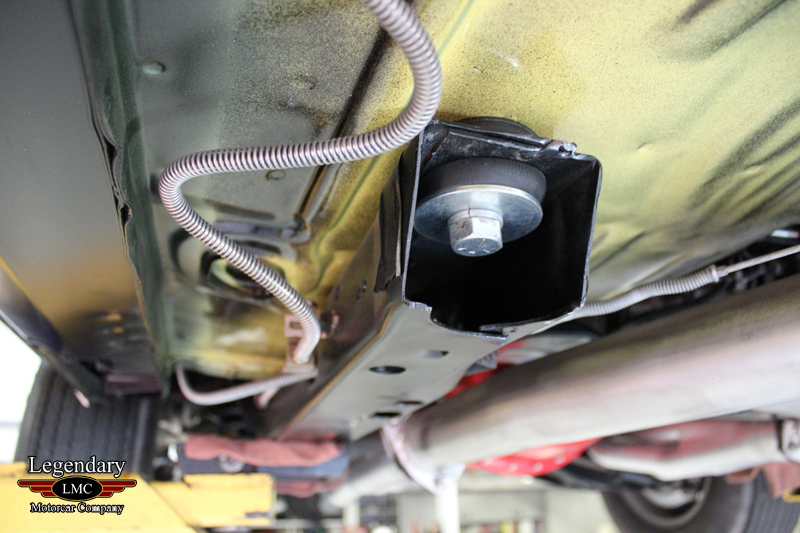 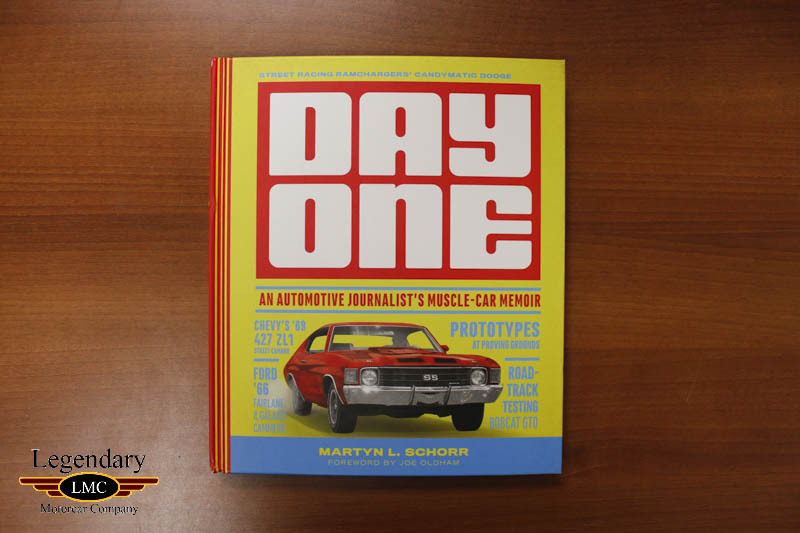 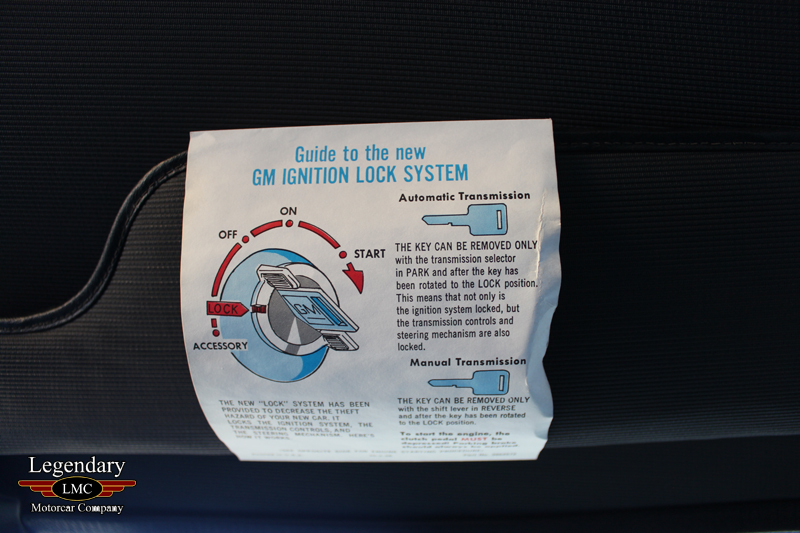 Their presence vital to operating a Camaro that is ultimately a device intended only to go down the road as fast as the driver dares. 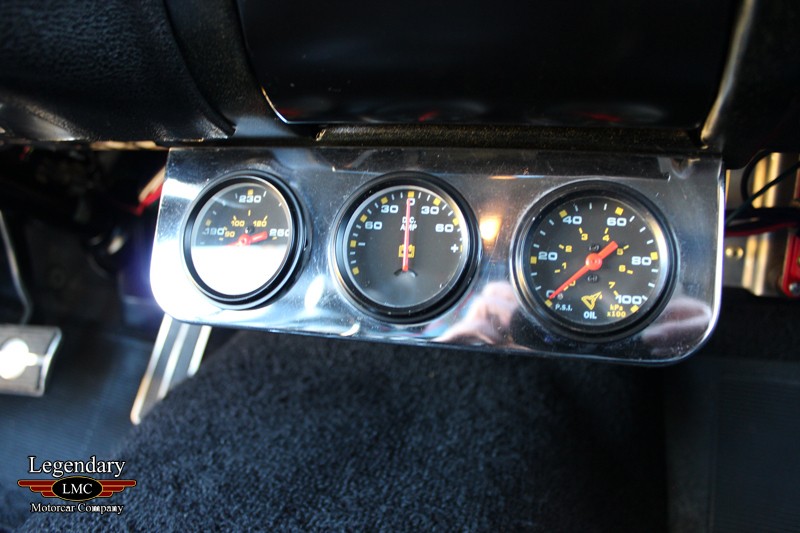 With this kind of unbridled performance available with the stab of the throttle, the willpower of the driver will often give up far before the car's limit has been tested. 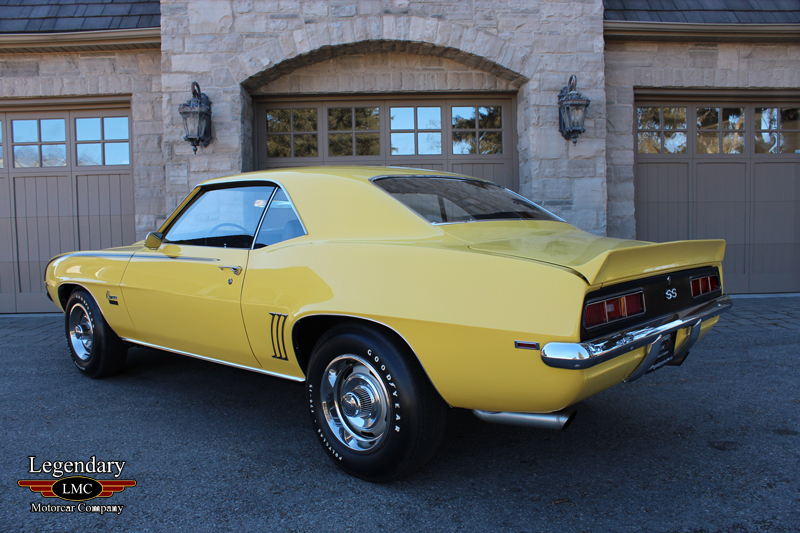 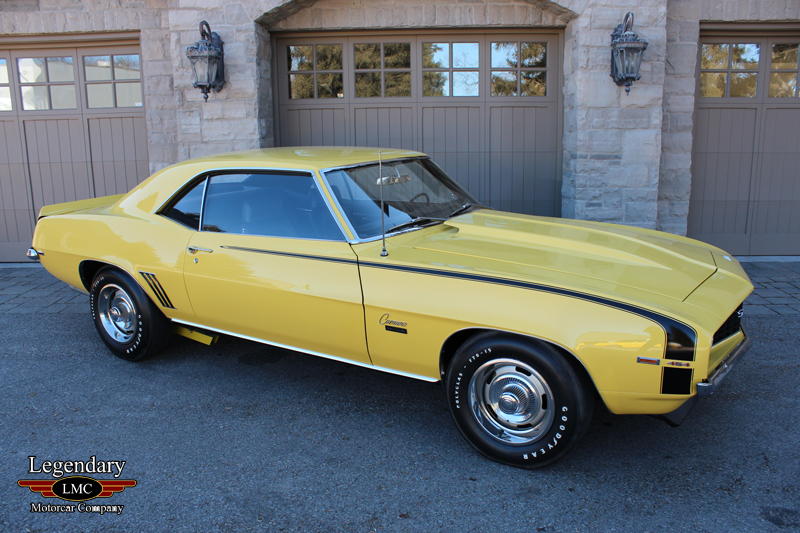 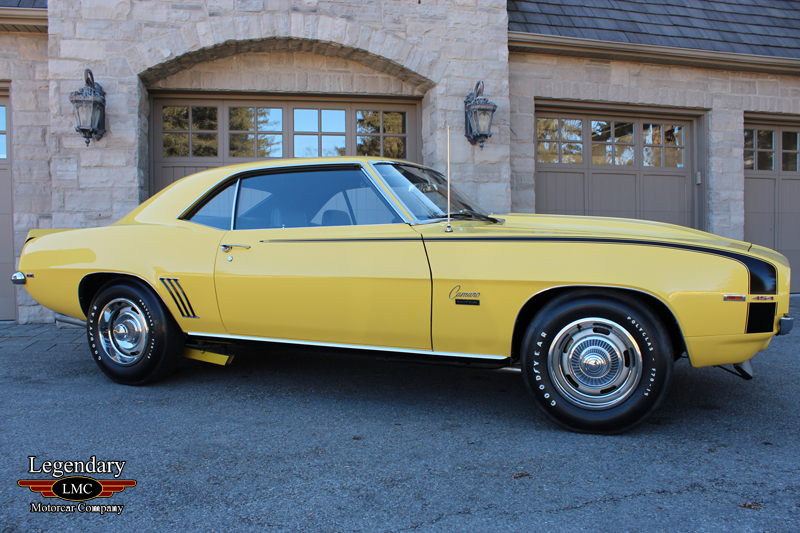 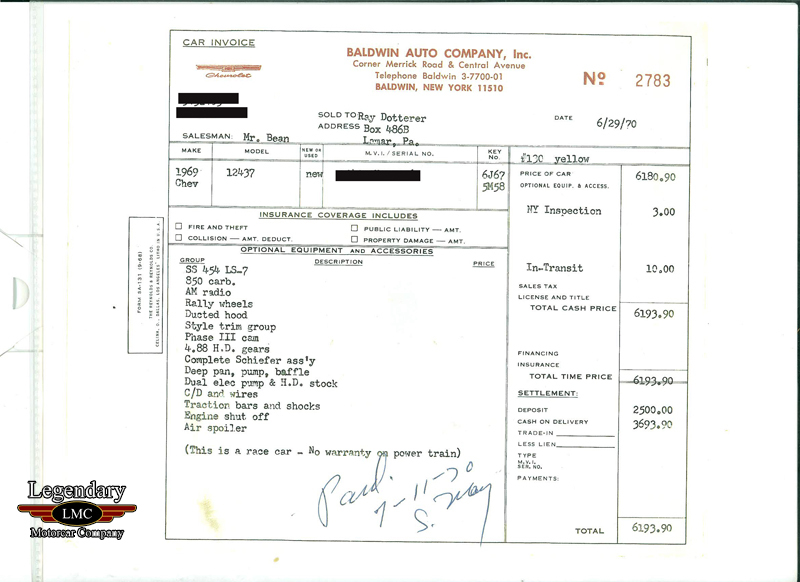 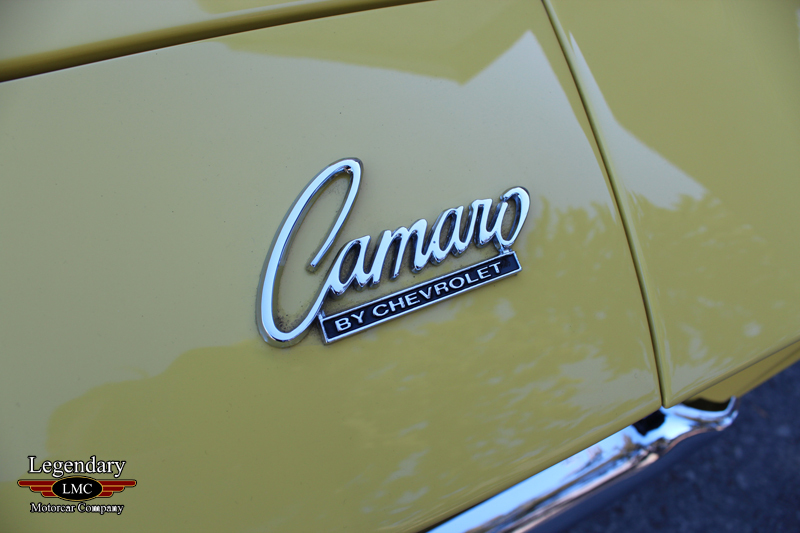 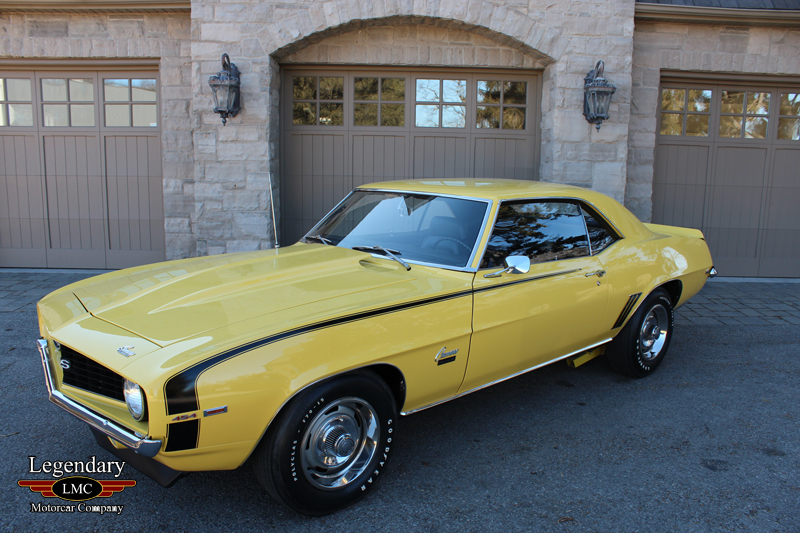 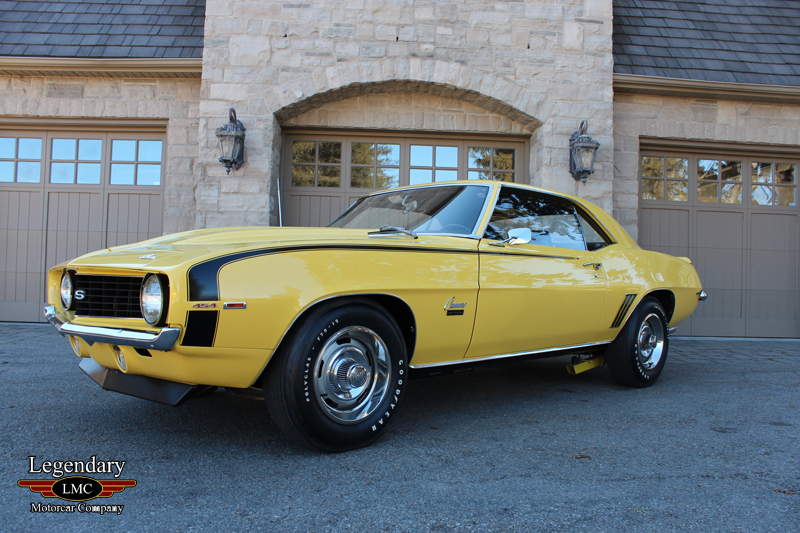 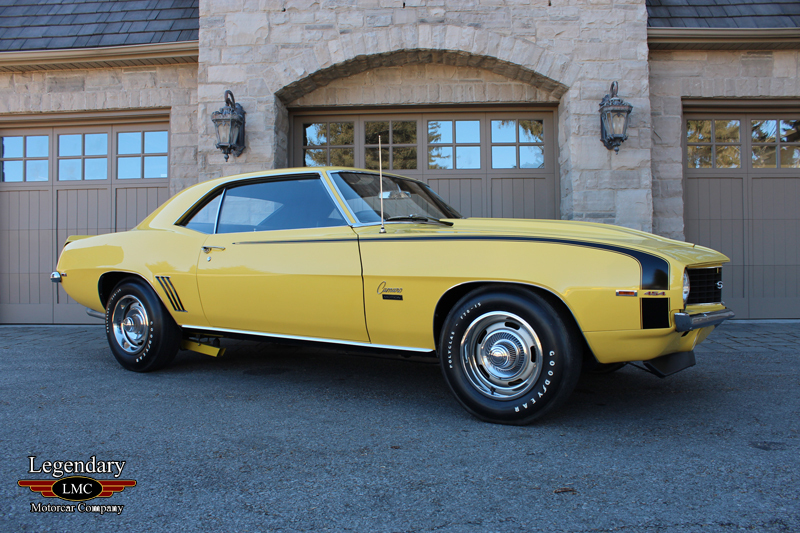 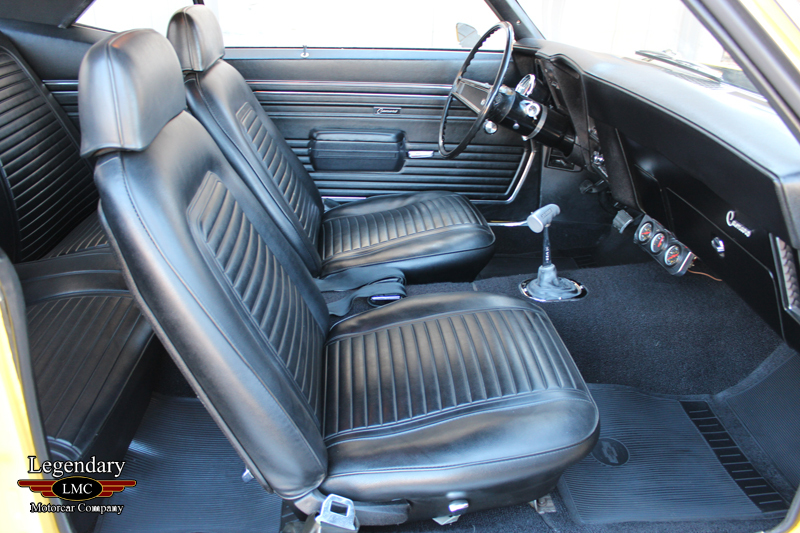 With real Baldwin Motion Camaros being a rarity on the market, ownership change is seldom. 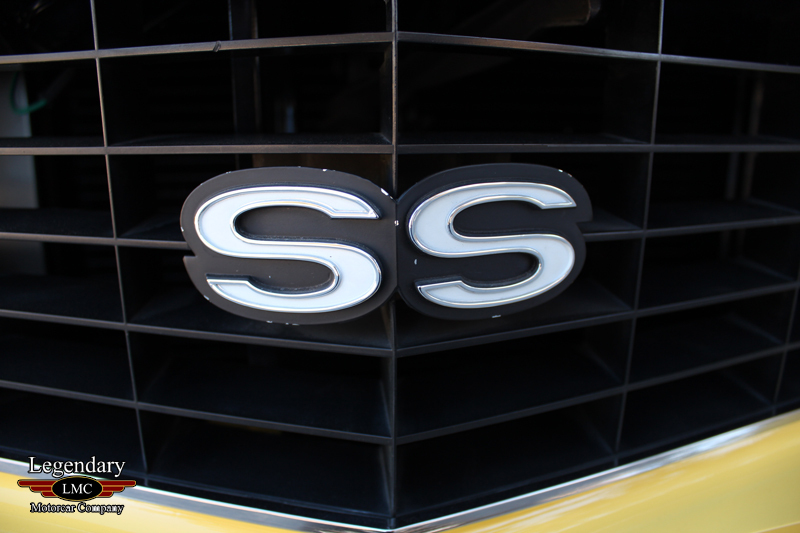 They have a storied reputation and a diehard following. 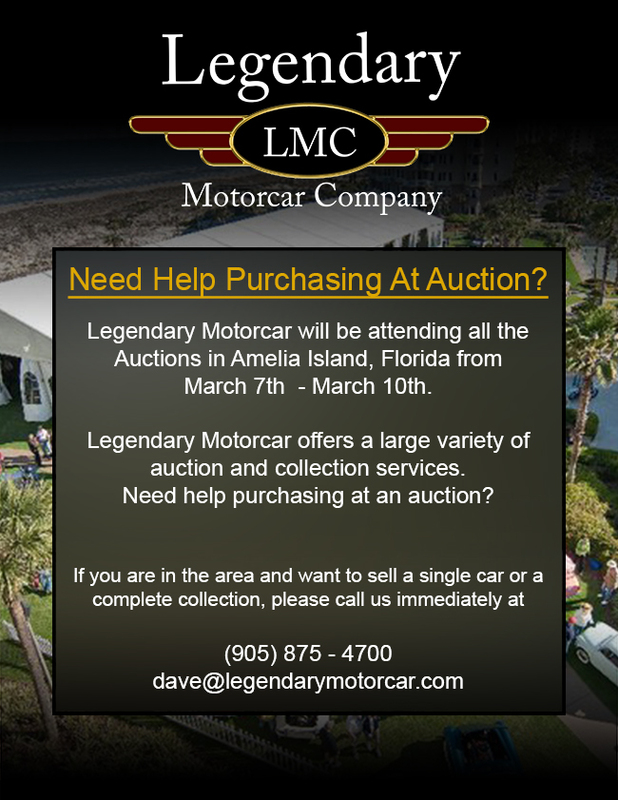 Collectors who have them just have to keep them. 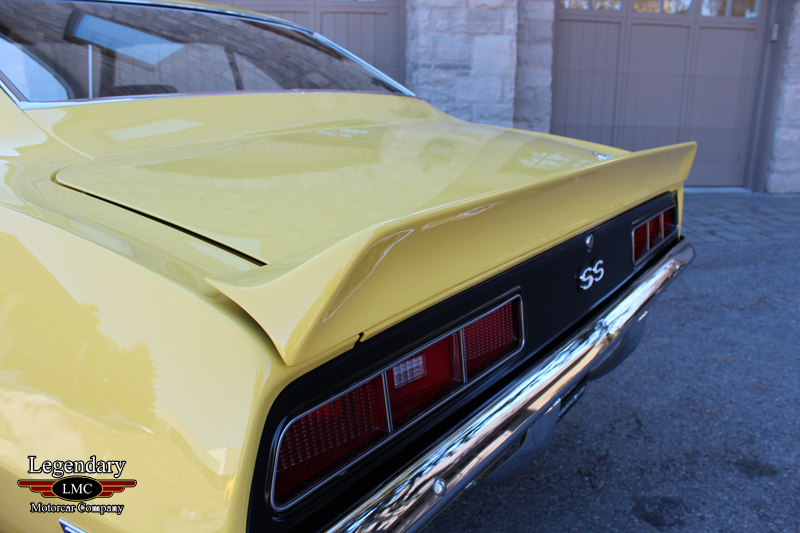 Motion performance was famous for gaudy hood scoops and chrome side exhaust, but when Ray Dotterer ordered this car in 1970 he wanted the biggest, baddest sleeper. 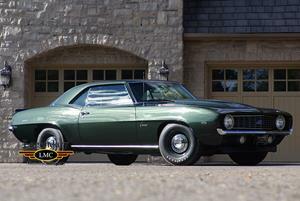 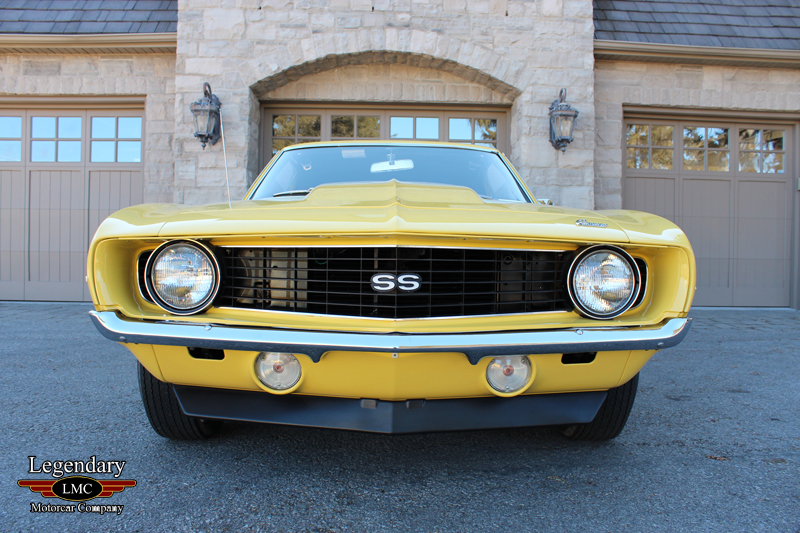 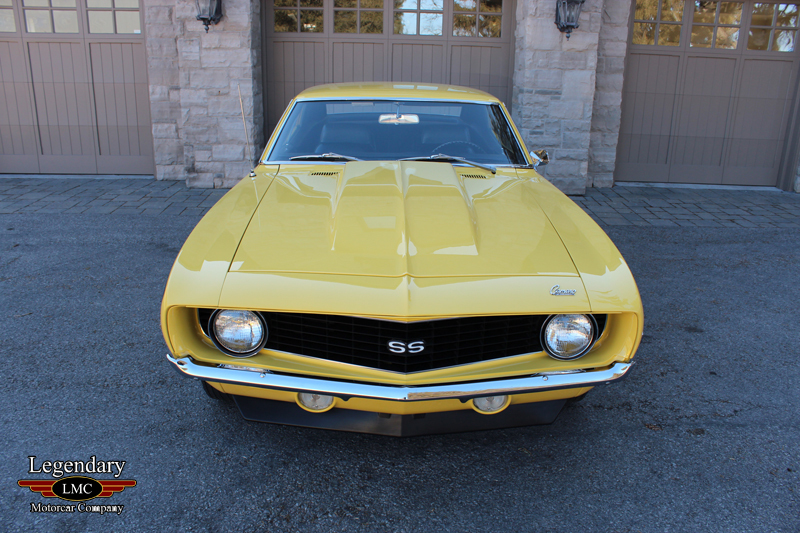 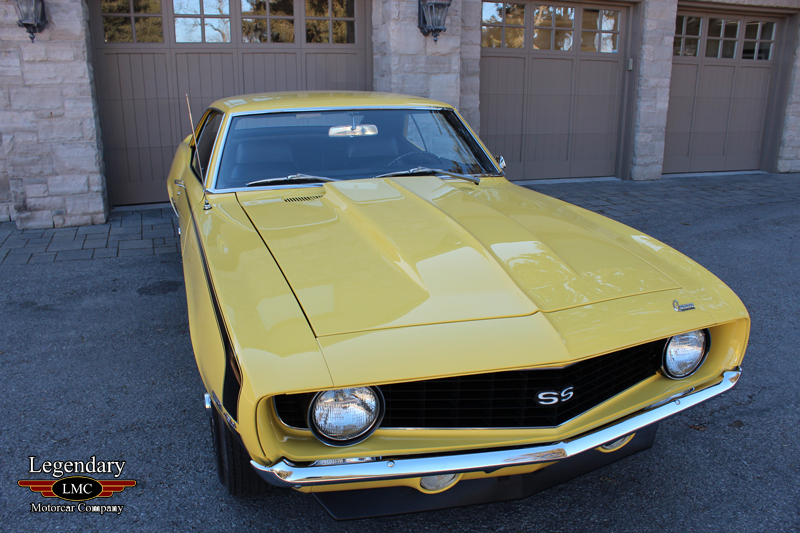 Equipped with the -never available in a production car- LS7 and with more power than the famed ZL1, the ability to hook it up with the help of Rosen's suspension, great paperwork, low mileage, clear owner history since new, and a stunning, correct restoration, this is arguable the most desirable 69 Camaro on the planet. 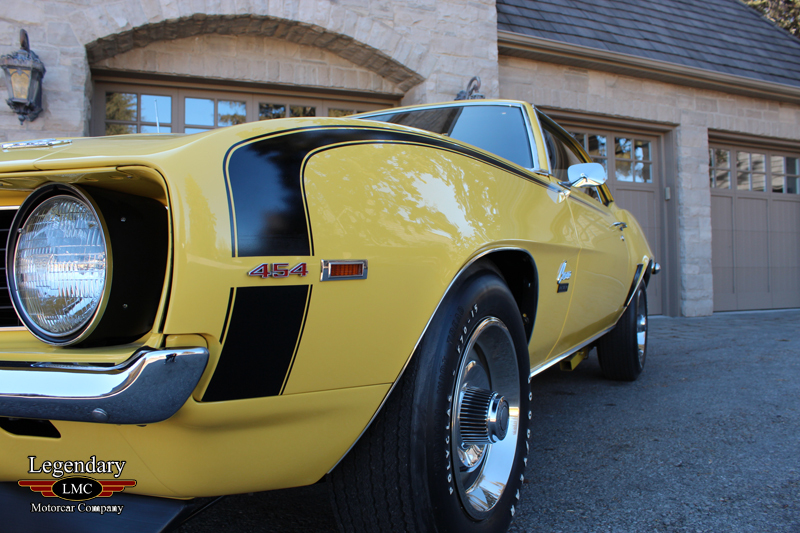 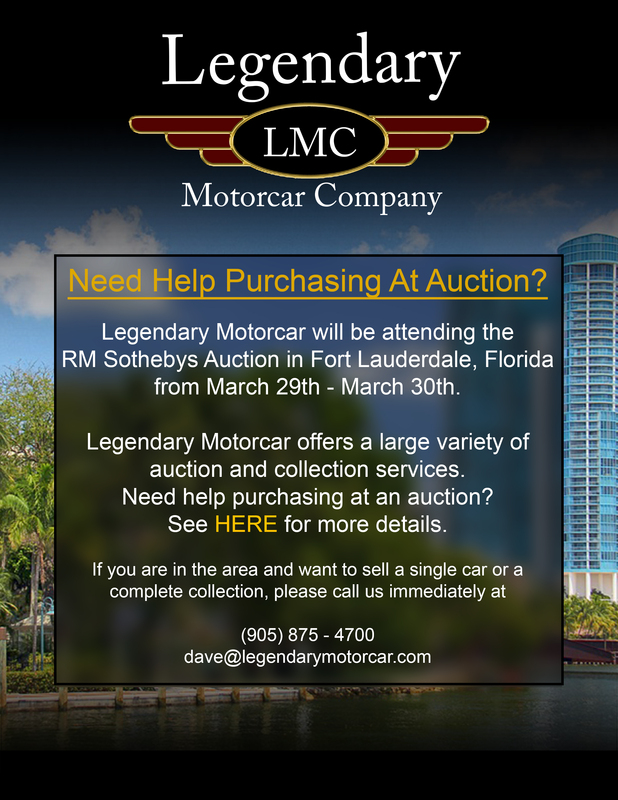 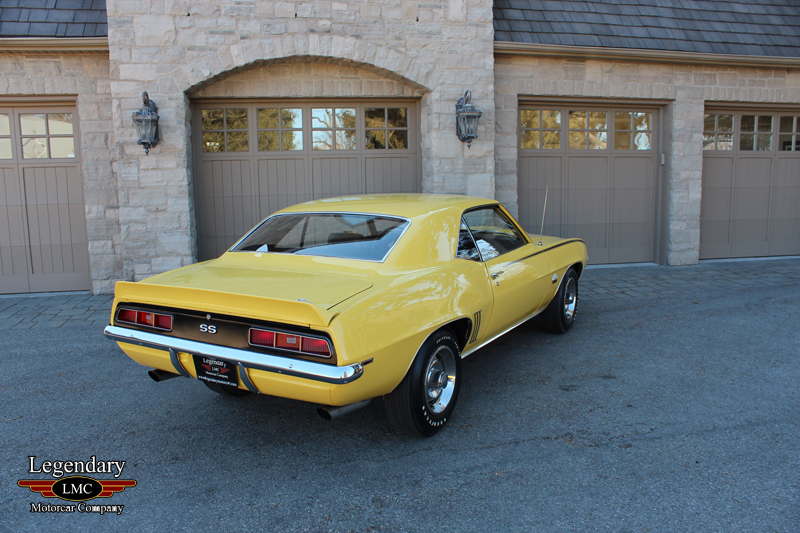 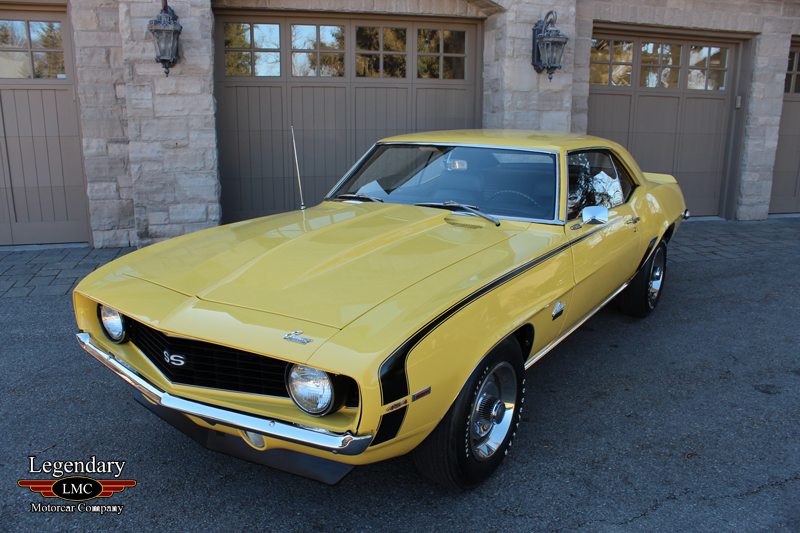 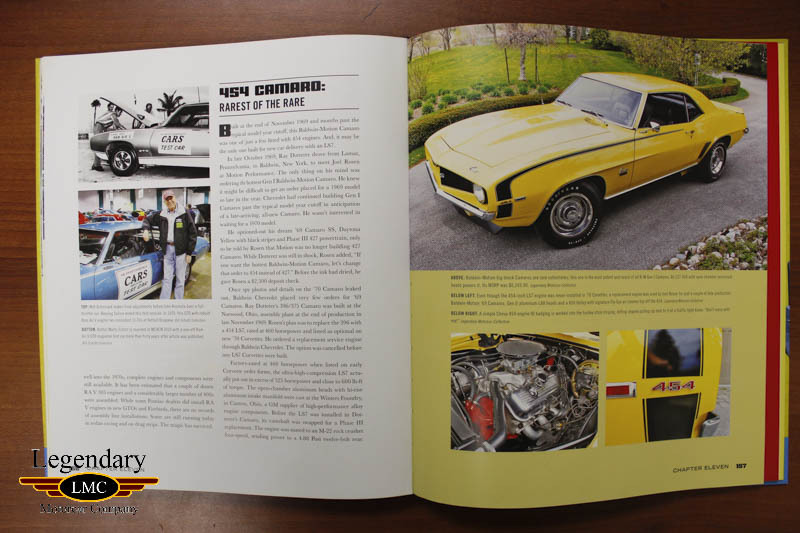 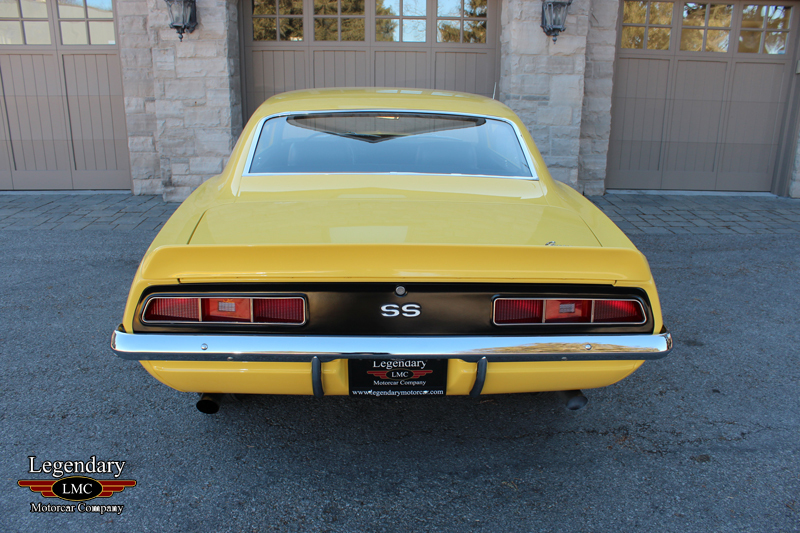 Legendary-Motorcar-Company-Ltd-2015-025 Chevrolet 1969 Chevrolet Camaro SS Baldwin Motion 2015-025 0 Legendary Motorcar Company Ltd.